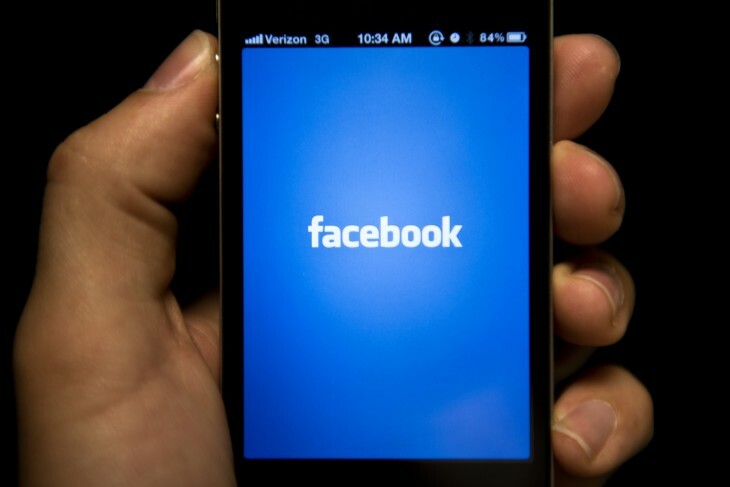 Facebook is sprucing up its mobile app install ads by adding more customizable actions for developers as it seeks to boost user engagement and discovery. Starting today, developers can take advantage of custom calls to action — specific things that can be incorporated into a mobile ad tied to specific areas of the respective app itself to encourage users to tap and interact with the program. Facebook is enabling developers to utilize custom calls to action, such as “Open Link”, “Use App”, “Shop Now”, “Play Game”, “Book Now”, “Listen Now”, or “Watch Video”. Any of these can be deep linked to specific areas of any app, whether it’s content or for a sale or promotion. Some examples include having consumers listen to a new playlist, having a travel app promote discounted fares and getaways, and more. Mobile app install ads first arrived for the social network in October with promises of 50 percent higher click-through rates and 10 times the reach. This year alone, Facebook says that thousands of businesses have used this placement type, driving more than 145 million installs from Apple’s App Store and Google Play. Last quarter, 8,400 advertisers and developers used mobile app install ads. While it’s fascinating that companies are using this form of advertising, it is a challenge to scale it and show conversions. Sure, the ads have been tweaked so that the system will let developers target by operating system or data connection speed, and now the entire creation process has been simplified, but that’s only to get users one step in the general direction. People are curious to know what the return is and simply saying that X number of users have installed it versus remain active, is pretty significant. Facebook hopes that this new feature will help increase usage of apps — a recent study by Localytics, one of its Mobile Measurement Partners, shows that 66 percent of app users only open apps between 1 and 10 times. With this focus on engagement and conversions, the social network company hopes this will encourage repeat behavior when it comes to mobile apps. It probably shouldn’t surprise anyone that Facebook is rolling out this new feature for developers and advertisers — it serves two purposes: the first involves helping app creators find value in using the platform as a means to do business, while the other is to help Facebook make some money. Company CEO Mark Zuckerberg said during its Q2 2013 earnings that he expects there to be more revenue on mobile than on desktop, a repeat from October 2012. The social network is already seeing tremendous growth in the mobile space, more so than on the desktop — in the last quarter, it had more than 819 million monthly mobile active users. But, as the company looks to further connect the next 5 billion people in the world, it’s apparent that the mobile app install ads will play a big part in Facebook’s plan, especially when you look at Zuckerberg’s “build, grow, monetize” strategy that he touted at the TechCrunch Disrupt conference in San Francisco. He’s looking to build a better ecosystem with the right partners, grow the number of apps powered by the social network, and help people find them and make developers some money. 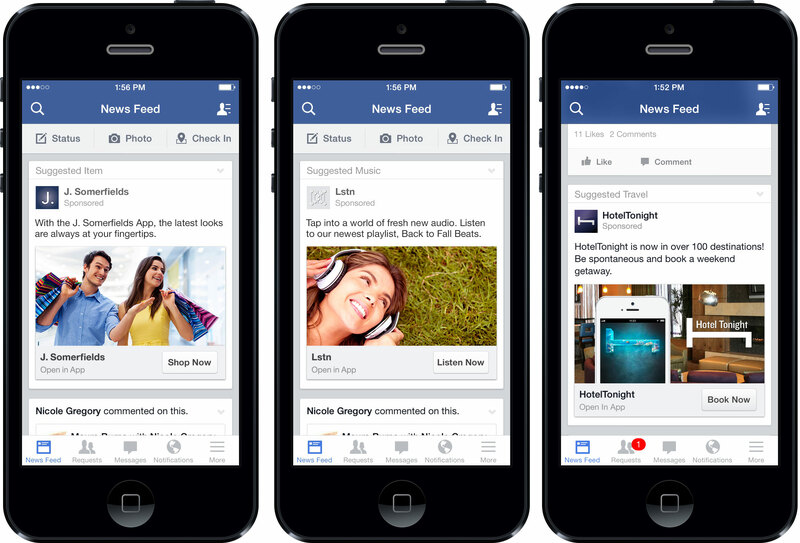 Facebook says that advertisers can create mobile app install ads with the new feature right through its power editor.